Tank commander DerStahlJager reporting for duty. On behalf of myself and my crew, we commit ourselves to the 115th. What are your orders, meine Fuhrer? 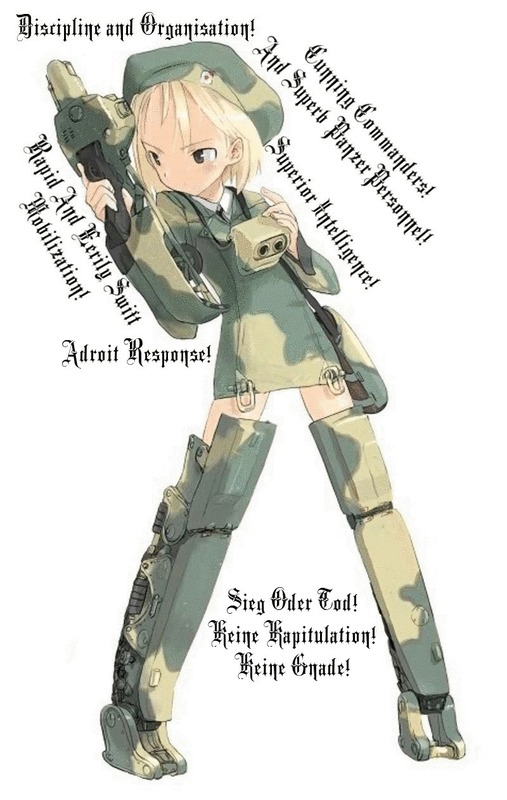 Welcome, we need competent PanzerOffizeire like yourself unsere neue freund und kamerad. if you want i can make you in charge and lead the 1st Gespätz Blutsaugers Panzerjäger Kompanie. we are in the process with the creation of Spezialen militärische Einheiten, and men able to command them. again we welcome you in names der 115th Schwere Panzer Division Schwarzen Lanze. Sieg und Herrlichkeit zu unserem Panzer Division!. In this new post new members can simply report in if they want to join without applying yet, though it is highly recommended to apply to join. starting it is DerStahlJager which has made an proper post for this. Mikiisvet is reporting to duty. My crew and me is available to the 115th. What are your orders my commander? Do I need to switch to german tanks? Tank Commander Thule_87 is reporting for duty to serve the Swedish Crown. What are your orders my good sir ? welcome in mate, nice of you to join us. Ready for duty! Whed do we begin training as a unit? Reporting for duty and waiting for orders.